The key is to create a game plan ahead of time. Evaluate your holiday schedule and then determine how much time you will realistically have available to devote to working out and/or eating healthy meals. If you can’t exercise as often during this time period as you normally do, adjust appropriately. Don’t use the excuse that since you don’t have time for your full workout you just won’t workout at all. Instead accept your limited availability and simply amp up the intensity of the workouts you do. If a twenty minute workout in your living room or hotel room is all you can manage then get your sweat on and grind it out. It’s much better to cut your fitness time in half than to completely eliminate it. And, remember that the shorter the workout duration, the greater the intensity of the workout should be. If you have no time to get to your gym or you are traveling use things like apps and streaming platforms for fitness so you can workout any place anytime. And, while many workouts on these platforms like the My Fitness app offer workouts that need zero equipment, you can still bring some easy fitness accessories with you so your workouts won’t suffer. Resistance bands are perfect for this. Try to combine family time with physical activities so you can visit and get your sweat on at the same time. Depending on where you live consider a hike, bike ride, skiing, ice skating etc. - any activity that’s fun, but still physical. When it comes to your diet, be smart. On the days you don’t have time to exercise don’t go crazy with your food intake. At holiday parties consider bringing a healthy dish. Snack beforehand so if there is nothing healthy to eat you won’t be starved and forced to eat it. Start by eating some of the healthy offerings. For example, vegetable sticks (without dip), fruit pieces, plain chicken pieces, etc. Then move on to some of the less healthy (but yummy) offerings. You will be less likely to overindulge on these foods if you have already filled-up on some of the healthier items. Yet, you will not feel deprived or unsatisfied. And remember to focus on the company not the catering. 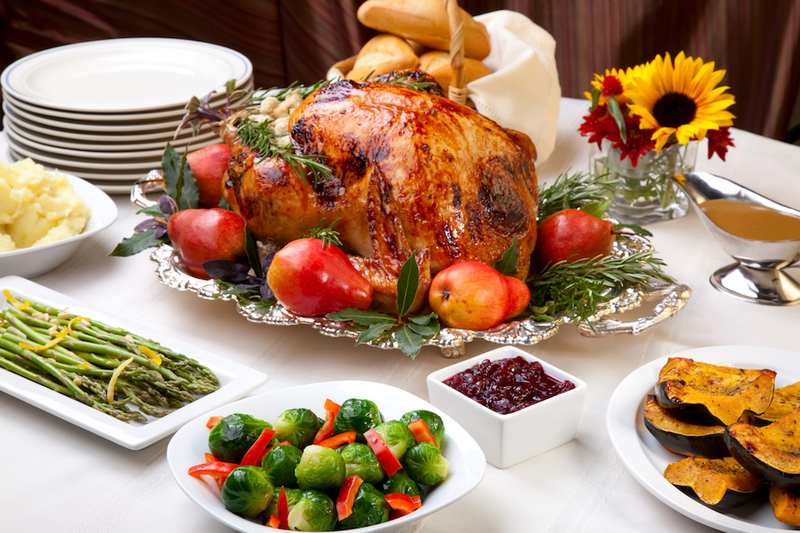 Don’t stand by the buffet and spend time mingling and laughing with family friends and colleagues. When presented with a large variety of food options, it’s tempting to want to eat everything. Rather than eating one large slice of chocolate cake or a huge plate of meatballs, select a sampling of bite size pieces of several of the desert or appetizer offerings. This way you get the enjoyment of trying many different foods without overeating. Avoid wasting calories on alcoholic beverages. The average alcoholic drink contains 150-200 calories per glass. Indulge in just 2-3 drinks and you’ve drank the equivalent calories of an entire meal. If you partake in these beverages, choose wisely. For example, instead of having a full glass of wine, try mixing half a glass of wine with sparkling water. This will help cut your calories in half. When running errands or shopping, be sure to pack some healthy snacks to have on-hand. Then after you work-up a big appetite, you won’t be tempted to grab something at the mall food court or the fast food restaurant on the way home. Ultimately, the holiday weight gain dilemma is greatly overstated. Most people only gain around 5lbs, but why gain any at all? If you use your common sense you will be fine. Remember that something is better than nothing. When you don’t have much time to train push yourself harder to amp intensity and get a greater calorie burn during and after the workout. Indulge moderately, but don’t over eat. On the actual holiday, be it Thanksgiving, New Years, Christmas, Chanukah etc. feel free to indulge. One or two days a month won’t be the end of you and then you won’t feel deprived.